We will be closed for the New Year's Holiday from December 29 through January 6. Wishing you Happy Holidays and a New Year filled with prosperity and success!! The winner of the Best Special Effects! At 51 Festival Internacional de Cinema Fantàstic de Catalunya in Sitges, which is recognised as one of the three biggest fantastic film festivals in the world, Atsushi Doi as VFX supervisor of “Inuyahshiki” is awarded as the Best Special Effects! Digital Frontier Inc. (Head office: Shibuya-ku, Tokyo; Representative Director and CEO: Hidenori Ueki), Tsutomu Mizushima (a japanese anime director, major work : GIRLS und PANZER) and BANDAI NAMCO Arts Inc. co-developed the original TV animation work The Magnificent KOTOBUKI. The anime is to be broadcasted from January 2019. We would like to inform you that we will be taking a short break on Monday, August 13. We will reopen for normal business hours on Tuesday, August 14. Late legendary actor has resurrected digitally for a new project! Digital Frontier, Inc. (“DF”) has announced that new technology entitled “Digital Human” is now available from DF. As the first project with this technology, we have picked up “Zatoichi” starred by the leading actor in Japan, late Shintaro Katsu. This technology was also applied to creation for the head of Mr. Noritake Kinashi, who is playing the protagonist in the film entitled “Inuyashiki.” This film will be released on April 20, this year. Under the concept of sci-fi film as Shitaro Katsy’s brand-new “Zatoichi,” DF has developed a live action film project. This is a story about blind swordsman's fierce battle against Oni (fiend) which is capable to become invisible. From morning of Feb.13 (Tuesday), the new Osaka office will be operated normally. We are sorry for the inconvenience this may cause you, and your understanding and cooperation are appreciated. We will be closed for the New Year's Holiday from December 29 through January 4. We would like to inform you that we will be taking a short break on Thursday, June 22. We will reopen for normal business hours on Friday, June 23. The interview article with our Executive Director Yusaku Toyoshima has been posted on the CG & Movie information site "CGWORLD.jp"! Animated feature film "Wolf Children" will be on TV for the third time! A box-office hit "Wolf Children"(directed by Mamoru Hosoda), which we created all CG parts, will be broadcast on Nippon TV on March 24 (Fri), from 9pm! This will be the full, original version of the film. Before the broadcast of the film, some PR programs such as an interview with Director Mamoru Hosoda will be on the air on March 23 and 24. 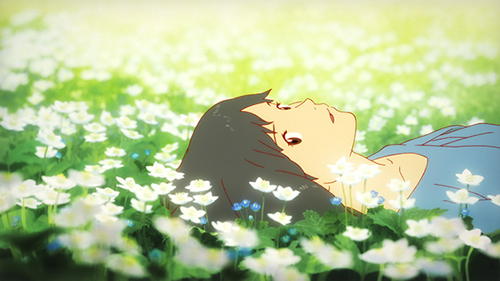 Also, a talk program featuring "Wolf Children" will be live on LINE LIVE at 8pm on March 24. Please enjoy the film and related programs with someone special! Full 3D-CG animation "Infini-T Force" Coming this October! Full 3D-CG animated TV series "Infini-T Force" will be broadcast on Nippon TV from this October! Digital Frontier is now working on 3DCG production. Further details will be announced later. Stay tuned!! The interview article with our Executive Director Yusaku Toyoshima has been posted on the web magazine "Nizista"! 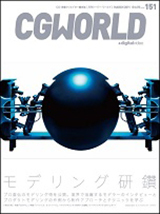 Digital Frontier won The 2nd CGWORLD AWARDS Grand Prize & "GANTZ:O" won The Best Picture/CGI animation! 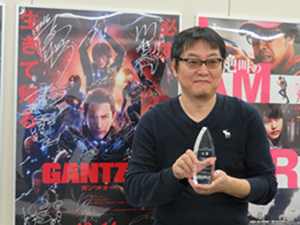 CGWORLD Magazine announced that The Grand Prize of The 2nd CGWORLD AWARDS had been given to us, Digital Frontier Inc. and The Best Picture/CGI animation had been given to our produced 3DCG animated film "GANTZ:O"(Directed by our director Yasushi Kawamura)! It's very honorable. Thank you very much!! Our CG effects reel of "GANTZ:O" now on Vimeo! Please find the splendid job our effects team has done for the full 3DCG animated film "GANTZ:O" through the link below! We will be closed for the New Year's Holiday from December 29 through January 4. Wishing you Happy Holidays and a New Year filled with prosperity and success!! We are nominated for "The 2nd CGWORLD AWARDS" for 3 categories including the Grand Prize! - Feature film "I AM A HERO"
- Feature film "DEATH NOTE Light up the NEW world"
- Feature full-CG animated film "GANTZ:O"
Our produced video "PPAP by Ryuk" has achieved 20 million views on YouTube!! After being released on YouTube on November 1 this year, our produced "PPAP(Pen-Pineapple-Apple-Pen)/Ryuk feat.PIKOTARO" has got over 20 million views in just a month and a half! If you haven't seen it yet, check the link below NOW!! The Making-Of articles on “GANTZ:O” and “Death Note: Light up the NEW world” have been posted!! The Making-Of articles on our CG director Yasushi Kawamura's film diredctor debut “GANTZ:O” and the newest chapter of “Death Note” sequel: “Death Note: Light up the NEW world” have been posted! Both articles are exclusive making-of articles focusing on our talented artists and the exellent team. Click the "CN (简体中文)" button placed on the top right of our website to download our company and our motion capture studio brochure in Chinese (simplified). We renewed our English web site! Our English web site has been renewed since this October. In this renewal, we adopted responsive design which makes our web pages look good on all devices (desktops, smart phones and tablets). Also, we renew the design and the structure to let users browse more comfortably. Please check out our best recommended "CG MAKING" pages, popular "DF TALK" pages and newly added "PEOPLE" pages which introduce our directors. “Death Note: Light up the NEW world” in theaters on October 29! “Death Note: Light up the NEW world”, we worked on VFX, will be released in theaters across Japan on October 29! “Kin Medal Otoko (Gold Medal Man)” in theaters on October 22! “Kin Medal Otoko (Gold Medal Man)”, the film Digital Frontier took care of the entire production, will be released in theaters across Japan on October 22! “Taiyo (The Sun)” in theaters on April 23! “Taiyo (The Sun)”, the film Digital Frontier took care of the entire production, will be released in theaters across Japan on April 23! 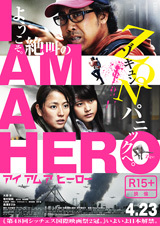 “I Am a Hero” in theaters on April 23! “I Am a Hero”, the film Digital Frontier worked on VFX, will be released in theaters across Japan on April 23! 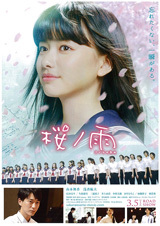 “Sakura no Ame (Cherry Blossom Memories)” in theaters on March 5! “Sakura no Ame (Cherry Blossom Memories)”, the film Digital Frontier took care of the entire production, will be released in theaters across Japan on March 5! The Making-Of article on “The Boy and the Beast” has been posted! The article on the making of “The Boy and the Beast”, the box office hit film now in theatres, has been posted! Leaders of each unit who are shown in the end credit scroll talk about their momorable scenes, secret stories behind the scenes and lot more. Must check out whether you have already seen the film or not!! The Making-Of article on “Death Note (TV drama)” has been posted! "Death Note", a TV drama series we are working on CG production of Reaper characters. Here comes an exclusive making-of article with interviews with our producers, directors and artists. Can you guess how they use the video game development software "Unreal Engine 4" to make Reapers for the weekly drama series? An animated feature film “The Boy and the Beast” in theaters across the country from July 11! 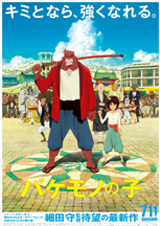 “The Boy and the Beast”, the long-awaited new film from the animation director Mamoru Hosoda, in theaters on July 11! Digital Frontier worked on CG production for this film again following last 2 Hosoda’s films “Summer Wars” and “Wolf Children”. TV drama series "Death Note" will begin on Sunday, July 5 at 10pm!! "Death Note", which is a film we worked on VFX in 2006, will be back as a TV series with a different settings! We are producting 2 CG charactors of Reapers called Ryuk and Rem. The first episode will be broadcast on Sunday, July 5 at 10pm (special an 30 min. extra). “Aooni ver.2.0” in theaters on July 4! “Aooni ver.2.0”, the film Digital Frontier took care of the entire production, will be released in theaters across Japan on July 4! Our in-house CG director/VFX supervisor Hideaki Maegawa directred the film! “STRAYER’S CHRONICLE” in theaters on June 27! 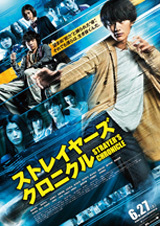 “STRAYER’S CHRONICLE”, the film Digital Frontier worked on VFX, will be released on June 27 at Shinjuku Piccadilly and 246 other theaters throughout Japan! Our artists Yukinobu FUJIMATSU and Takayuki YAFUNE will appear at the Motion production seminar presented by Daikin Industries LTD. on Thursday, June 11. The seats are already fully booked, but you can join the waitlist. If you have interests, please refer to the following URL. Panasonic’s 4K Promotional Video “Liberación” is on Youtube. Won the 4K Good Practice Award 2014 ! For the first time ever to make this official 4K60P promotional video content, we used an amalgamation of footage shot at 4K using high speed cameras and vibrant CG effects. We were responsible for everything including planning, casting, costumes, shooting, editing, CG work and the music. Check out these promo videos we took part in! DF is proud to announce that we worked on the CG movie production for the upcoming “Super Smash Bros. for Nintendo 3DS / Wii U“! Check out these awesome promo videos we took part in! [Super Smash Bros. for 3DS/Wii U] Mega Man Joins the Battle! Mighty No. 9, the game that received $1 million in a day on Kickstarter gets an animated TV Series for the worldwide market. Shibuya, Tokyo, July 5 2014 ? Keiji Inafune, the creator of Mega Man, announced today at the 2014 Anime Expo in Los Angeles that an animated TV Series is in development based on his studio’s forthcoming crowdfunded video game Mighty No. 9. The series will be an action-packed comedy aimed at kids 6-11. Digital Frontier, an animation company in Japan, is developing and producing the series for a worldwide release. After witnessing the massive support internationally for the Kickstarter campaign, Digital Frontier reached out to Inafune to develop the animated TV series. (Note: Digital Frontier will not be using any of the funding from the campaign for the production of the animated series) Digital Frontier is actively seeking partners internationally including but not exclusive to merchandising, broadcasting and production. The studio has been recently pitching the series and is currently in talks with interested parties with announcements coming soon. The story focuses on BECK, a weak transforming combat robot, who was made to fight in a combat robot league as a part of the MIGHTY NUMBERS, the strongest robots in the world. When Beck is the only robot spared from a virus that forces his teammates to destroy mankind, he has to to find various ways to overcome his own inadequacies so he can stop them. For PRESS and CORPORATE inquiries please contact us at: Digital Frontier Inc. Thank you fans for your support of the animated TV series. But unfortunately we will not be able to respond to any fan emails at this time. We will make more announcements about the series in the very near future. Q1:Will the funding raised from the Mighty No. 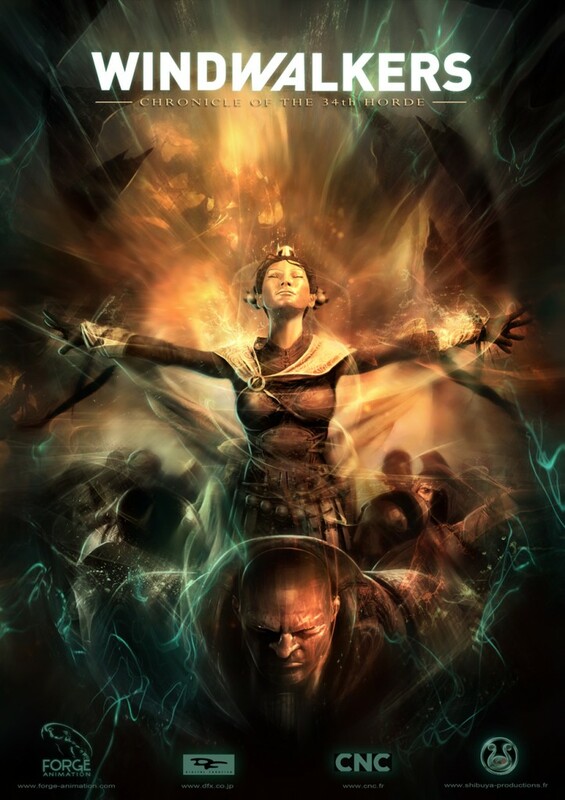 9 video game Kickstarter campaign be used for this project? Q2: I’m not press or corporate but I’m a big fan of Mighty No. 9 and would like to contact Digital Frontier. Is that OK? Q3: When will the series be released? Q4: What is the genre and target audience for the show? Q5: What markets is the series aiming for? Q6: Who is writing the series? Who is directing? Q7: Who are the primary investors for this project? Q8: Who will be producing the animation for this series? A: Digital Frontier will be managing the animation production for this series. However we are actively seeking interested parties regarding collaboration opportunities. Q9: Have voice actors been announced for the series? Will the voice of Beck in the teaser be the same for the series? Q10: Will the narrator featured in the teaser be in the series? Click here to download the PDF of this press release. Dark fantasy comic “SWORDGAI” promotion movie is now available on YouTube. Checkout our latest 3DCG work for monthly comic magazine “Hero’s”! For further information please visit our WORKS page. Higanjima is now playing on TBS and MBS channels every Thursday from 0:58- midnight. Digital Frontier have worked on VFX of the drama and directs the entire CGI. 3 of our latest works will be showing at Siggraph Asia 2013 Animation Theater in Hong Kong! If you are planning to visit Siggraph Asia this year don’t forget to check out the Animation Theater! Creative Conference 2013 is here! Our technical directors and R&D will be holding a seminar at the Creative Conference 2013. Our staff with 10 years of experience in motion capture will be covering on editing and post production process. From R&D Team we will be showing our latest inhouse tools. ※Registration will begin Sept.24, 2013 at the official site. 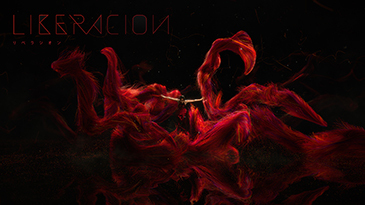 Film “Bilocation” Official Site is now up! Check out our latest film Bilocation’s at the official site. This Kadokawa Horror Bunko 20th Anniversary Film is based on Hojo Haruka’s debut novel “Bilocation”. 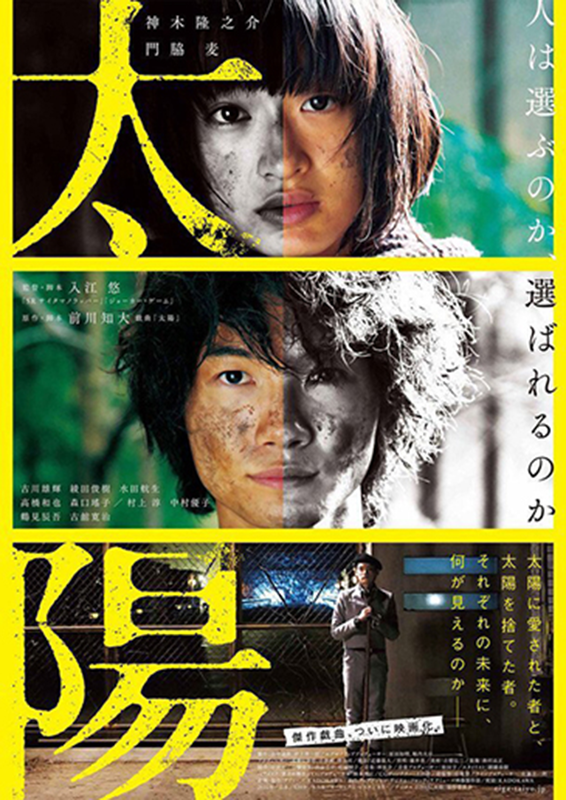 Bilocation will be released on January 18, 2014 (SAT) at Kadokawa Cinema Shinjuku as well as in other Japanese theaters. 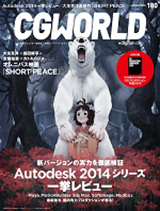 This volume of CGWORLD features Autodesk 2014. Nozawa and Morimoto from our TD team covers two review articles. They point out new tools in both Maya and Motion Builder and how it can be applied to our projects. image：© WORKS CORPORATION INC. ALL RIGHTS RESERVED. The following shows produced by Digital Frontier will be aired on NHK Educational Television "Telebi Ehon" meaning “Picture Book on TV”. "Pikke to Gako Konna toki donna kao?" "Pikke to Gako Konna toki nante iu?" "Pikke to Gako Odekake shiyou Gako wo sagashini"
※time and date may change. Thank you for visiting our official SNS pages. We started "DF SPOTLIGHT", a new series of articles about us, on our Facebook page to introduce our company more deeply. We will deliver interesting contents to entertain more and more people. If you haven't seen our official facebook page, please follow us now! Thank you for your continued support for our socail media channels. We will be having a making seminar on our latest works at the event “Autodesk 3December 2012” on FRI Dec. 7, 2012. 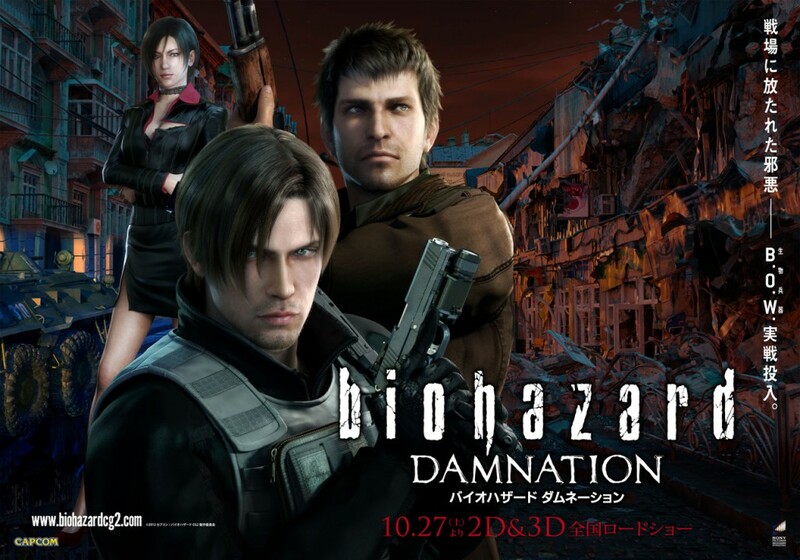 In the animation magazine Animania 10-11/2012, Digital Frontier director Doi talks about his latest work “Resident Evil: Damnation”. Oct. 25(THUR) 3D Creative Arts International Awards sponsored by International 3D Society Japan took place at the Tokyo Miraikan. At the ceremony, Digital Frontier’s first stereographic full CG feature film “Tekken Blood Vengeance” was nominated for 3D Creative Arts International Award for film. We had a seminar on 3DCG of “Wolf children” at Kobe Institute of Computing - College of Computing! 「Theatrical release in Japan on October 27, 2012 (Saturday)! 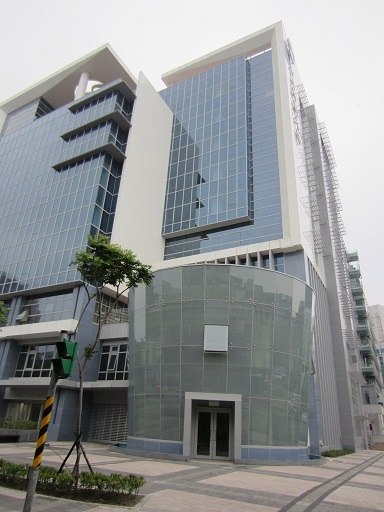 Digital Frontier’s group company, Digital Frontier Taiwan (集拓聖域股份有限公司), has leased another floor of the current building in Neihu (IT district in Taipei) to keep up with the recent increase in the number of designers. The office is now on the 9th and 8th floors. The article talks about how Digital Frontier worked on CG background in their latest film “Wolf Children”. In this film Digital Frontier beautifully integrates 3DCG in 2D animation film created by director Hosoda Mamoru and Studio Chizu. The film “Wolf Children” will be released in Japanese theatres on July 21. Scheduled to be released in France on August 28, 2012. Japanese motion picture production company, Digital Frontier (Headquarter: Tokyo Shibuyaku, CEO: Hidenori Ueki) that has a distinguished large scale CG production department announced that it will co-produce the film Windwalkers: Chronicles of the 34th Horde with French production company Forge Animation (Headquarter: Aix-en-Provence, CEO: Hervé Trouillet) and consulting company Shibuya International (Headquarter: Nice, CEO: Cédric Biscay). The novel La Horde du Contrevent by Alain Damasio, which was acclaimed by the critics since its release in 2004 and then awarded “the Grand Prix de L’Imaginaire” in 2006, will be produced in full 3DCG animation. Digital Frontier who is well known for Japan’s leading CG technology will collaborate with talented staffs from France to produce the work in a way that no one has ever seen before. People struggle to survive the natural disasters as they live in fear of the violent wind. 23 characters are chosen from a village at the leeward side. They are the selected elite warriors who are called the “34th Horde”. Their mission is to walk to the ultimate windward side or “the upper reaches”, which is believed to be the place where the wind is born and the only place that they can terminate the wind. Original Novel: La Horde du Contrevent Author: Alain Damasio Publishing by La Volte in France. Writer Alain Damasio’s second novel that won the « Grand Prix de I’Imaginaire » in 2006 as well as « Le Prix imaginales des Lycéens» . Since its release the novel attracted devoted fans and became a bestseller. It came out with a paperback edition in 2011 as well as Italian version from Norde in Italy. - The 100 essential masterpieces of the imaginary published by Librio. Motion picture production company specialized in CG production. It provides services from planning to production of motion pictures of various genre. Digital Frontier has one of Asia’s larges motion capture studio in Odaiba, Tokyo that is equipped with VICON T160 and facial capture studio with simultaneous sound recording system. In addition, Digital Frontier recently installed a 3D scanner. With these latest technologies the company offers fast and high quality production services. Digital Frontier also works globally and has subsidiaries not only in Japan but in Taiwan and Malaysia. Tsuburaya Production (production studio famous for Ultraman series) and Digital Frontier held a realtime event at motion capture studio “OPAKIS”. 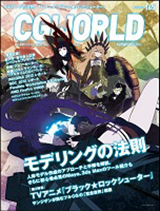 The event was featured in CGWORLD magazine. In the article our main staffs talk about the latest technologies that were used at the event. The director of the full CG animation film “Tekken Blood Vengeance” talks about how he worked on the film based on the world famous battle game in the magazine Animania 12/2011-01/2012 and Aniway Dec.2011. Digital Frontier is now equipped with new European 3D scanner from 44Dynamics. It captures the object from 4 directions in less than a second. After the data is collected, the postproduction software merges the images together so that it forms a 360 degree model. Since its a portable assembly 3d scanner, scanning can be done at almost any indoor location. The system can work with complex objects such as a full body scan, including texture and patterns of clothes. Check out our latest PV! Digital Frontier announced that it had acquired Fly Studio in Malaysia, which specializes in CG production for game cinematic, TV commercials and feature film VFX. “The acquisition will build our global network and strengthen our production line. We also plan to hire new staffs and expand Fly Studio in the next few years” said Hidenori Ueki CEO of Digital Frontier. Fly Studio will continue to operate under its current name. The deal will however change some of the current Fly Studio board members including Hidenori Ueki as board of director and Itsuki Chida as new Chair. Wee Meng Hee will remain as one of the board and will work closely with Digital Frontier in building new Fly Studio. The company will continue to work with clients in Asia, Europe, and UAE countries as it handles projects from Digital Frontier in Japan. Office location will remain at Kelana Jaya which currently holds 20 designers. All designers are expected to stay and remain in current position. The company plans to hire more staffs starting this year to prepare for larger projects with Japan. Fly Studio will now operate under Digital Frontier’s workflow to strengthen its business management and CG production quality. Digital Frontier recently established a subsidiary in Taiwan, making Fly Studio its second group company outside of Japan. Digital Frontier will be moving to Shibuya! Please note that our current line will be closed at Oct.14 (24:00). We will be operating at our new office from Oct.17 (MON) at 10am. 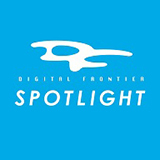 On July 18th, 2011, Digital Frontier establishes a subsidiary in Taipei, Taiwan. 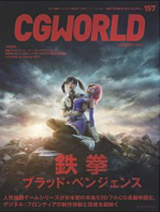 English name: Digital Frontier (Taiwan) Inc.
A making-of article on our first stereoscopic full CG animated feature film “TEKKEN: Blood Vengeance” appeared in CGWORLD vol.175. TEKKEN: Blood Vengeance in Theatres on July 26rd! Stereoscopic full CG animation film “TEKKEN: Blood Vegeance” will be in US theatres on July 26rd! It will be One-Night-Only event at over 300 theates. OPAKIS Promotion Movie now Available! Please check out our promotion movie of our renovated motion capture studio. “OPAKIS” is one of Asia’s largest motion capture studio located in Odaiba, Tokyo. It is equipped with 100 VICON T-160 cameras for motion capture. Its facial capture studio has a simultaneous sound recording system. For more information please see our website. TEKKEN BLOOD VENGEANCE 3D coming this Summer! A new movie is coming out this Summer called TEKKEN BLOOD VENGEANCE. At Digital Frontier this is our first movie in 3D. It will be released in both US and Japanese theatres. A stereoscopic live concert film of a vocal dance group with 6 boys from South Korea, in theatres for 2 weeks only from Mar. 26. Part 2 of the film “GANTZ” will be released in Japanese theatres from April 23, 2011. SF action film “Gantz”, which is based on a famous Japanese comic, kicked off its first weekend in Japanese theatres. In two days it earned 6 hundred million yen and ranks No.1 in box office this week. Digital Frontier’s latest VFX work in the film “GANTZ” was introduced on CGWORLD magazine. 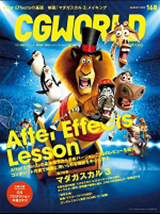 The article talks about how Digital Frontier tackled the CG in the film. MOCAP studio “OPAKIS” installs hi-def 100 VICON T160 cameras! Film “Yusotsuki Mi-kun to Kowareta Ma-chan”, in theatres on Jan.22, 2011! Film “GANTZ”, in theatres on Jan.29, 2011 at Toho Cinemas! PS3 game “Ryū ga Gotoku 4: Densetsu o Tsugumono”, available on Mar. 18, 2010. Digital Frontier worked on Motion Capture and scene editing. A DVD book for pelvis excercises, available from Mar.2, 2010. Film “Summer Wars” won the 33rd Japan Academy Animation Prize! Film “Summer Wars” Blu-ray & DVD, in stores on Mar.3, 2010! Extended teaser “Dead Rising” now on web! Film "Dead Rising" will be in theatres nationwide in 2010.